My creative path crossed with designer, Heather Noddings when I moved to Portland back in 2010. She was one of the first people in town that I met, and we've been friends ever since. Heather was still a student then, and it has been so cool watching her grow and develop a unique style all her own. When Heather approached me to do a collaboration, I knew we'd cook up some magic together. Her surface designs are bold and modern. She translates geometric shapes into eye-poppingly awesome visual stimulation. I can't get enough! Stay tuned for more photos of the mini collection we developed together. For now, read up on this badass babe and check out more of her work. Tell us a little bit about yourself. You know, the basics. 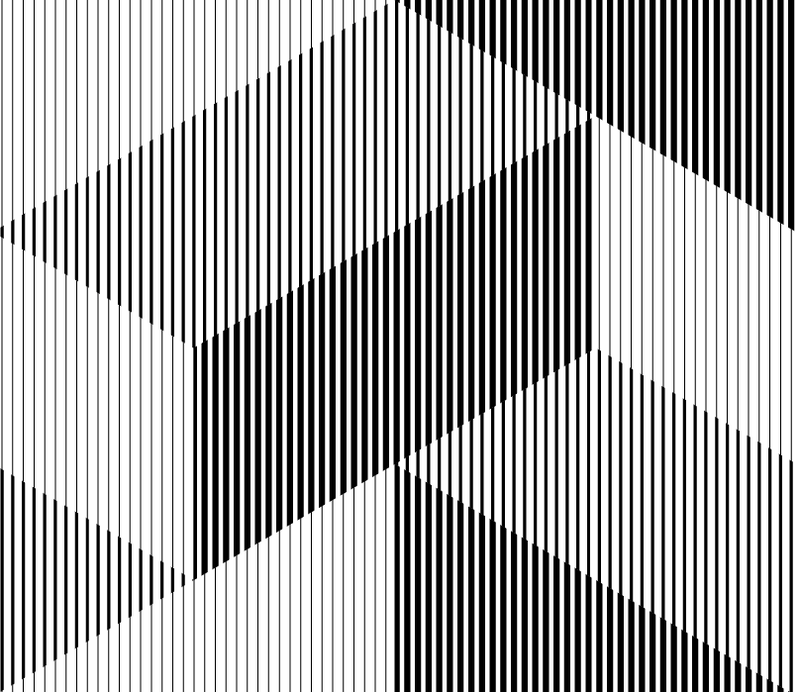 I'm a graphic designer based in Portland, Oregon, with a passion for patterns and crazy geometric things. I split my time between the agency where I work full-time, and personal projects that allow me to explore and create freely. I find it's a really nice balance of client-creative and self-driven work, which definitely helps keep me feeling sharp. I'm also currently teaching as an adjunct faculty member at Portland State University. I love the challenge and variety that design brings — each project has its own unique set of needs, which allows for a really broad range of solutions and discoveries throughout the process. There's no one-size fits all solution, or any "right" answers necessarily, which is both scary and interesting all at once. Do you have any projects you’re particularly stoked on? I've just started an exploration of geometric-vector-art-meets-traditional-weaving patterns that I am SUPER stoked about! It's still very preliminary, but I think it's going to be very engaging. This year I'm trying to incorporate more motion to my work, so ideally this project will end up animated in some way, as well as an assortment of printed pieces. How do you start when you begin designing a new pattern? Typically I start a new pattern on paper — it might be a sketch, a list of ideas, or sometimes I'll even start with folding the paper itself! I'll also scour the internet for inspiration around color, form, and mood. From there, I try and narrow in on the general feeling or emotion I'm trying to convey, and see where the pattern takes me. What inspired you most about this collaboration with Machine? The chance to work with Jessica was such an exciting opportunity — I'm incredibly inspired by the ideals of the Machine brand and risks that Jess has taken; that sort of passion is infectious, and so amazing to work with! I also love the aesthetic of the brand — it's in-line with my own, but with enough of a twist to make for some really interesting results with a collaboration. I find inspiration in such a wide range of things, from technology and pop-culture, to books and movies, and really just about anything I come across. Honestly, it's a little overwhelming sometimes how much inspiration is out there.